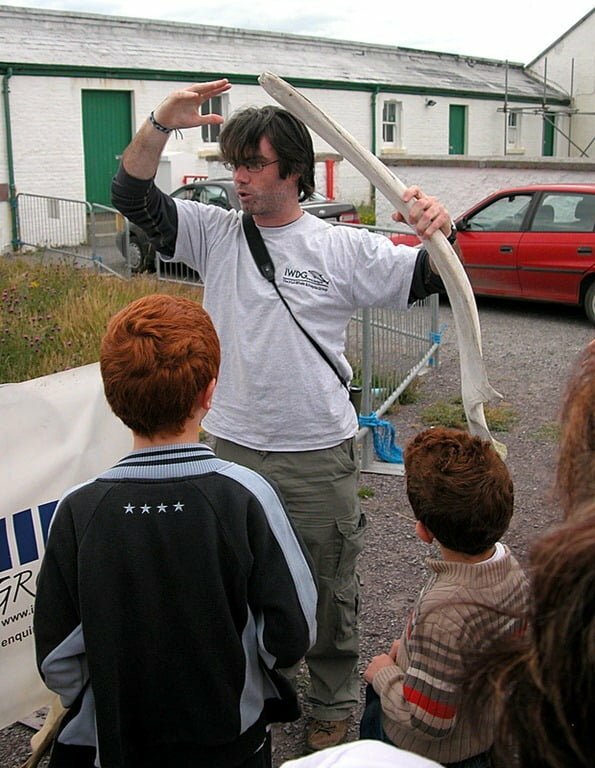 You are here: Home / Wildlife News / Wildlife Events / Whale Watch Ireland 2011 – Sunday 21 August at a headland near you! 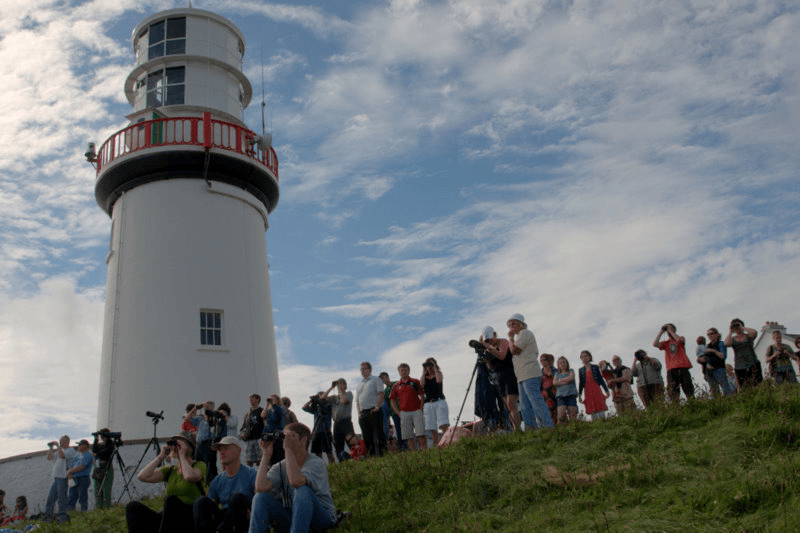 Whale Watch Ireland 2011 – Sunday 21 August at a headland near you! It’s that time of year again, and the Irish Whale and Dolphin Group (IWDG) has officially announced the date of its annual All-Ireland land-based whale watching event. Whale Watch Ireland will take place on Sunday the 21 August this year between 2pm and 5pm at headlands right around Ireland. It’s a fantastic event, and a great way to get acquainted with some of the fabulous marine wildlife that’s visible from our coastline. Experienced IWDG personnel will be on hand at headlands across the country to explain more about the kinds of cetaceans (whales, dolphins and porpoise) you are most likely to see from land, what signs to look out for and how to identify the more common species. Whale watch Ireland is designed to raise awareness about the 24 species of cetaceans that occur around the Irish coast, and offers members of the public a great chance to see some of these fantastic creatures first hand with the help and guidance of experienced observers. Having multiple synchronized watches also provides the IWDG with excellent snapshot of whale and dolphin activity around the Irish coast. Best of all, its free and open to all. Bring binoculars and / or a spotting scope if you have one. Dress appropriately for the weather conditions on the day, and remember that headlands can be windy places, even in fine weather. NB. There are no boat trips involved as part of the event, and all whale watching is land based. As with all wildlife watching there are no guarantees of seeing whales or dolphins on the day, but it is always fun and informative..
Head on over to the IWDG website for more details, and don’t forget to check out what’s been seen near your local headland recently on the IWDG sightings database. Some of the highlights of previous years include fin whales, minke whales, bottlenose dolphins, Risso’s dolphins and common dolphins – and with humpbacks spotted of Slea Head, Co. Kerry recently, and fin whales being seen regularly off the coast of West Cork there’s a fair chance that large whales will feature in this year’s species tally too. Whale watch Ireland 2011 will take place at the following headlands, and each watch will be led by an experienced IWDG watch leader. Please contact your local watch leader directly with any queries. So get out and experience the tremendous wildlife you can encounter on Ireland’s headlands. It’s a great family day out… and a wonderful introduction to land-based whale watching for everybody.